Omsk Avangard was hoping to have Jaromir Jagr finish his professional career playing for the KHL club this season, but were blocked by the league's rule book. Avangard president Maxim Sushinsky told RSport in Russia that the team wanted to sign Jagr to a one-game contract, but a KHL rule prohibits such a deal. 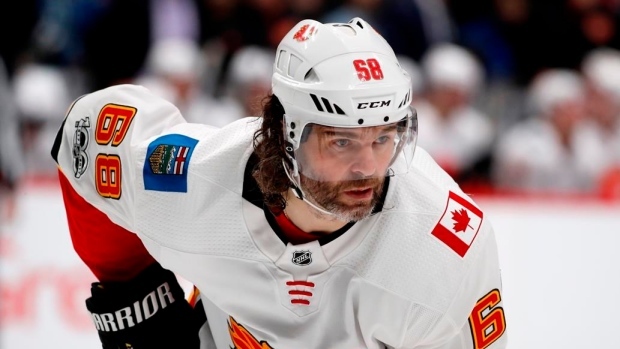 Jagr, 46, played in five games this season with the Kladno Knights, a team he co-owns, in the Czech Republic after a 22-game stint with the Calgary Flames. He said last week he plans to play for Kladno again during the 2018-19 season. He spent a total of four seasons playing for Avangard, making his KHL debut with the club during the NHL lockout in 2004-05. He spent three seasons with Omsk from 2008-2011 before returning to the NHL with the Philadelphia Flyers. KHL President Dmitry Chernyshenko told RSport that Avangard did not made an official appeal to the league, but an exception for Jagr may still be possible. The five-time Art Ross Trophy winner sits third all-time in NHL history in games played at 1,733.